The World War II Memorial, Washington Monument and US Captiol are seen beyond the waters of the reflecting pool on the National Mall August 8, 2015 in Washington, DC. 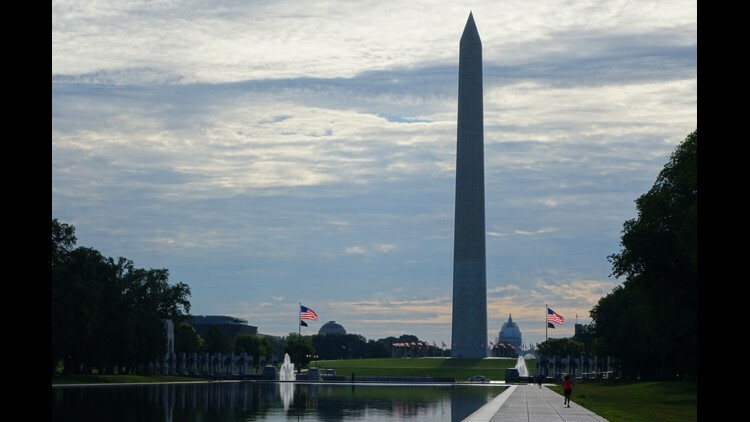 WASHINGTON — The Washington Monument is set to reopen this August after closing for construction two years ago, according to National Park Service officials. The monument closed in August 2016 to construct a new security screening building and a modernized elevator to bring visitors to the 500 foot observation level. Officials said completion of the security screening building was delayed because of possible soil contamination. The potentially contaminated soil is below the ground surface and poses no risk to the public, officials said. The exact date of when the monument will re-open will be announced as work progresses, said officials.